If you are a professional photographer, you certainly know that models want to and need to look perfect in the pictures you take for magazines or their portfolios. The obvious solution seems to be Adobe Photoshop, but it is very expensive and requires special skills. Remove red eye effect and more! 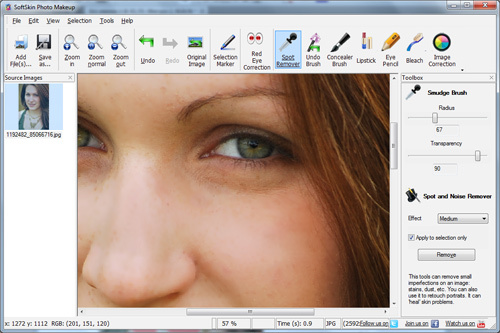 To use this tool for photos of girl retouch, all you need to do is download and install the program. 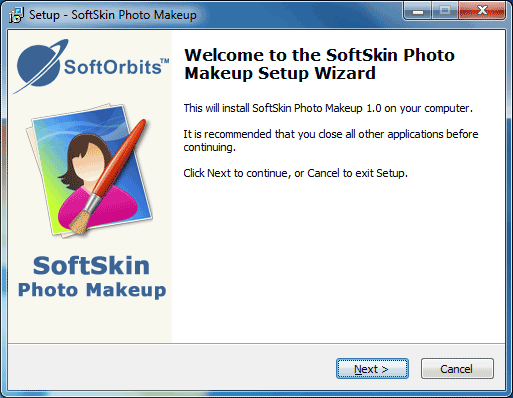 Then, open SoftSkin Photo Makeup and add files by clicking on the "Add files" button. You can choose one or several images. Click on the image you want to edit and select the desired tool. Available are: selection marker tool, spot remover, red eye correction, undo brush, concealer brush, lipstick, eye pencil, bleach and image correction tools. Use one, a combination or all of them to make the girl in the picture look perfect. Once done, click "Save as..." and select the desired target format. Feel free to try SoftSkin Photo Makeup now! Be our friend! Do not miss our news, updates and discounts. © 2012-2019 . All rights reserved.